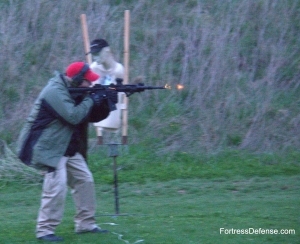 Required student skill level: Completion of the Fortress Level I Pistol Course, or an equivalent pistol course. 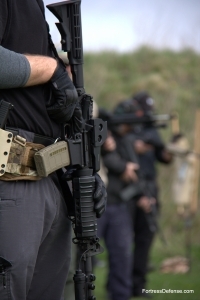 Equipment required: Functional magazine fed, semi-automatic rifle with sling, pistol with proper holster, magazine or speedloader carrier for pistol. Ammunition requirements: 800 rounds for rifle, 100 rounds for pistol. 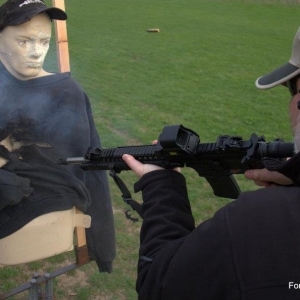 Practical application philosophies of the rifle for self defense. 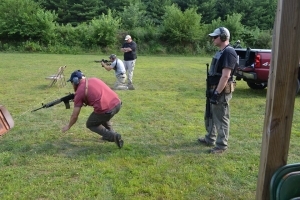 We will travel to you and train your group on your personal range or at a range in your locality which meets our requirements. If range facilities allow, a night shoot will be scheduled, as well. Firearms and equipment can be provided for rent with advance notice. Click here for pricing.